The following announcement was shared by Brother Dominic Gisondo earlier this year at St. Peter’s on behalf of the Brothers Community. From time to time, the Brothers of the Christian Schools recognize an exemplary individual whose life and work manifests the ideals, charism, and spirit of St. John Baptist de LaSalle. This recognition by the Brothers is called Affiliation and is the highest honor the Institute can bestow. Affiliation comes from the Latin word, filius, which means son. The person affiliated becomes an honorary Christian Brother, a son of St. LaSalle, and may use the initials AFSC after their name. These initials stand for Afiliatus Frater Scholarum Christianarum, Latin for Affiliated Brother of the Christian Schools. An Affiliate shares in the prayers and the good works of the Brothers. 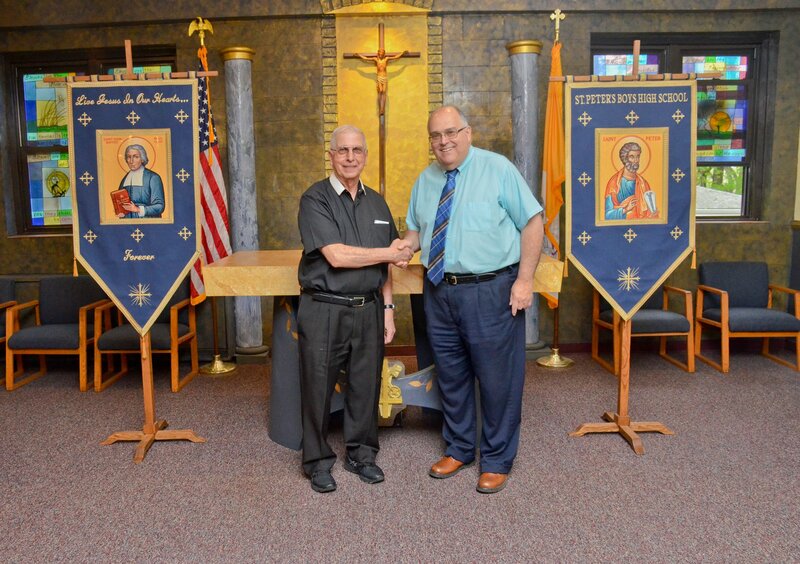 And so I am pleased to announce that Mr. Frank Cafaro will be formally affiliated to the Brothers of the Christian Schools at a 10:30 a.m. celebration of the Eucharist on November 3, 2018, at St. Peter’s Church.